Sweet Miss Nuke is a welcome, diverse addition to the previously all-male collection of progressive monsters. Komrade Margaret, Put me down for the whole collection. They will make great couch pillows! Comrade Margaret, those little monsters are just cute as can be. Maybe too cute. If we purchase, upon arrival of the G.W.O.N.T. would possession of these couch pillows require extermination? Ah, in my day in the People's Air Force I have seen some truly splendid nukes. How we female-identifying officers at one particular missile base used to swoon over the idea of all that thrust and multiple warheads.... Tactile musings, indeed. I like tactile nukes because it feels so good when it stops. Tactile nuke is over rated. 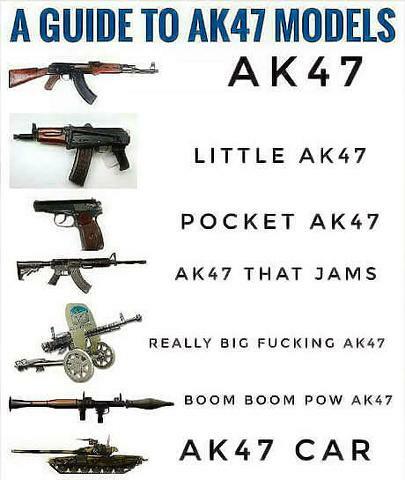 Tactile AK is better. The Tactile AK 47 is just the latest in the designer AK line.